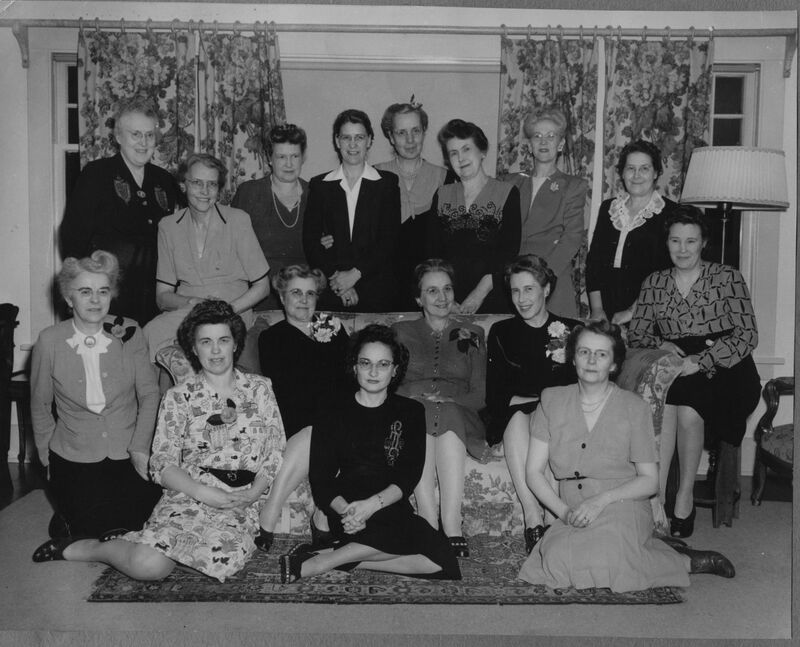 On January 22, 1945, ten women met in Olympia to discuss the founding of a local branch of the Young Women’s Christian Association (YWCA). What had started nationally as small prayer circle was rapidly growing to become the largest women’s organization in the world dedicated to service and social justice. By August of 1945, a strong local chapter was formed with the election of Mildred Lemon as the first Board Chair and the appointment of Francis Simas as the first Executive Director. There was no time to waste as three large issues loomed: the need for a permanent facility, a source of funding, and a program to suit the needs of Olympia women and girls. The YWCA worked quickly to set up groups, activities and clubs to draw in different women. Teens, young wives, business women, and mature women found programs tailored to their needs and interests. The early emphasis was on fellowship, recreation and crafts. In 1948, the Kearney House at 220 East Union Street was purchased and in 1950, the mortgage was ceremoniously burned at the Annual Meeting. Friendship Hall, a renovated “carriage house” on the property, was opened to provide a location for luncheons, teen dances, weddings, and musical events. During 1989 the YWCA submitted an application to the Olympia Heritage Commission to place the YWCA’s main building, built in 1907, on the Olympia Heritage Register.